This is what happens when it’s Friday and you’re too tired to think. I spent the whole of yesterday on a crazy-busy shoot at work so this morning, when I got dressed, I reached for the comfiest clothes possible. 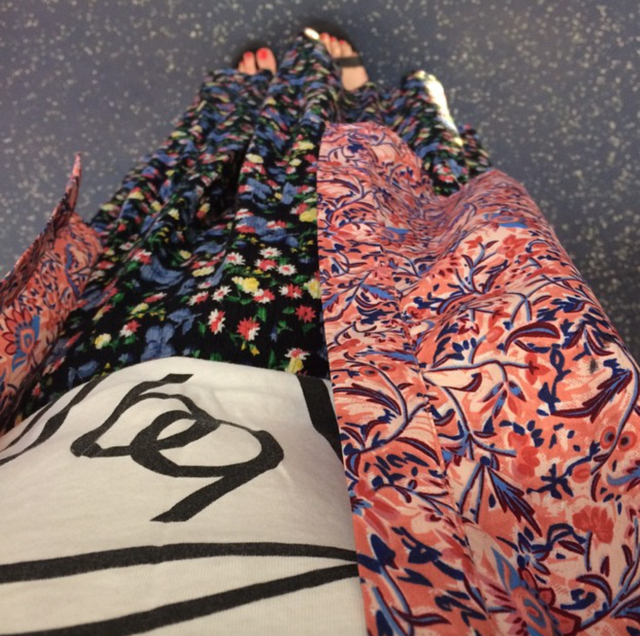 That just happened to include a floral midi skirt I got from a charity shop, a white men’s tee that I sheared the sleeves and neck off, and my trusty pink floral ASOS kimono. I look like I walked straight through a jumble sale and just kept going. And today, I’m more than happy with that.